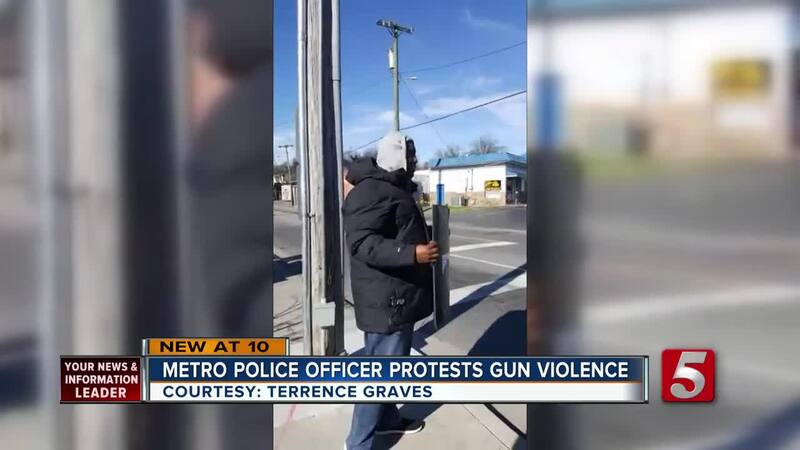 A Metro Nashville Police officer took to the streets to protest gun violence. 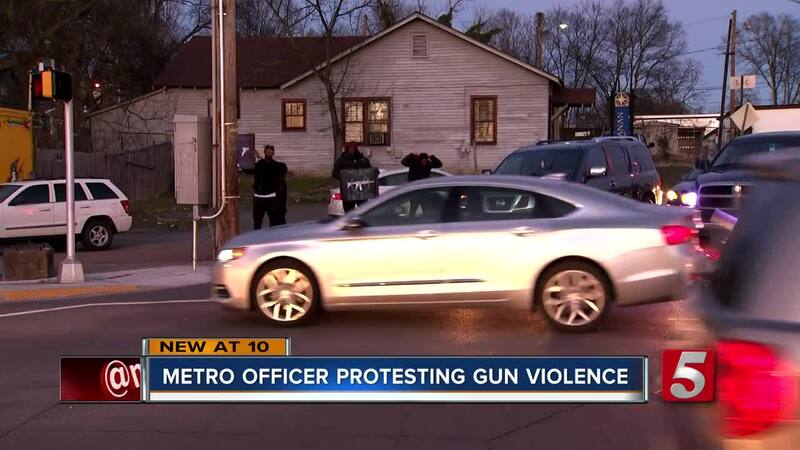 NASHVILLE, Tenn. (WTV) — A Metro Nashville Police officer is spending his nights off protesting gun violence. Commander Terrence Graves was out at Doctor D.B. Todd Junior Boulevard and Buchanan talking about gun violence for the second night in a row. "I've been to a lot of protest but the first time I've been the guy standing holding the sign," said Graves. The 21-year police veteran said last year 53 percent of the crimes in the north precinct were aggravated assaults. "I've been to numerous homicide scenes over my career, numerous shooting scenes over my career and people forget about the victims that are left behind from these homicides," Graves said. On Thursday night, Graves quickly noticed his one man protest began to grow. After seeing his efforts the day before others decided to join him on the streets. 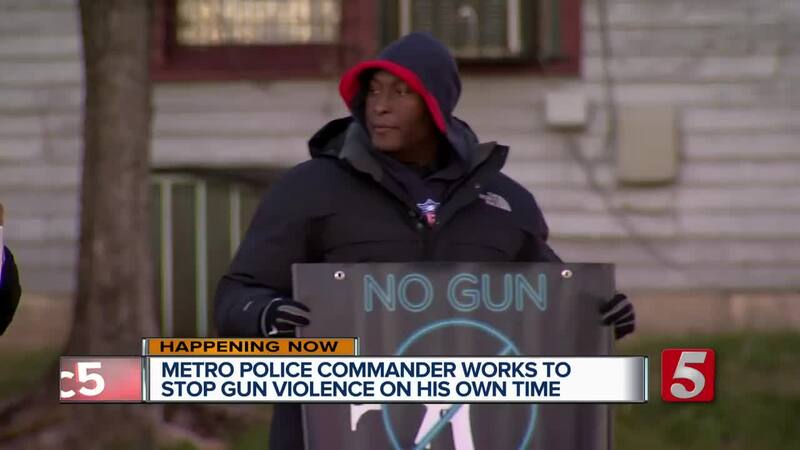 "Hopefully this message can get across to the young and the old to put down the guns and to come together in a better way," said metro officer Keiara Ward- Whitely. Bass Alternative Learning school teacher Bobby Baxter also showed his support to end gun violence for his students. "When they are in school one day and then the next day they're gone, and you see their face on the news; that is a really tough thing to deal with," said Baxter. Commander Graves says a change may not happen overnight, but until then he said a simple wave from someone passing by or a honk of the horn made all this worth it. "I feel that this is one extra step that I can take to try to do something different to bring attention to what it is," he said. Commander Graves said he plans to be back out once a week.